Map of Ansar al Sharia's attacks in Hadramawt, August 2014. The horrific images and story of 14 murdered soldiers that came out of Yemen on August 8 pale in comparison to those coming from Iraq and Syria. Yet they may presage the emergence of a renewed threat from al Qaeda in the Arabian Peninsula (AQAP) that the U.S and Yemen are ill-prepared to handle. The murders deviate from what has become an accepted level of violence in Yemen, where captured individuals—civilians and soldiers alike—are usually released. The ruthless attack occurred after Yemeni military forces ousted the insurgent arm of AQAP from a city in the remote eastern governorate of Hadramawt. Though the violence is shocking, the re-emergence of Ansar al Sharia as a fighting insurgent force is of more concern. The revitalization of AQAP’s insurgency in Yemen, coupled with continued terrorist attacks, may overwhelm the capabilities of Yemen’s security forces, re-opening a major front in the struggle against al Qaeda as the situation in Iraq and Syria continues to deteriorate. The United States partners with the Yemeni government to combat AQAP, the al Qaeda affiliate behind multiple attempted attacks on the U.S. homeland. The results of the partnership have been mixed. American airstrikes have degraded part of AQAP’s leadership network and Yemeni ground forces have disrupted AQAP operations to some degree, but the group continues to constitute a threat both to the Yemeni state and to American interests at home and abroad. 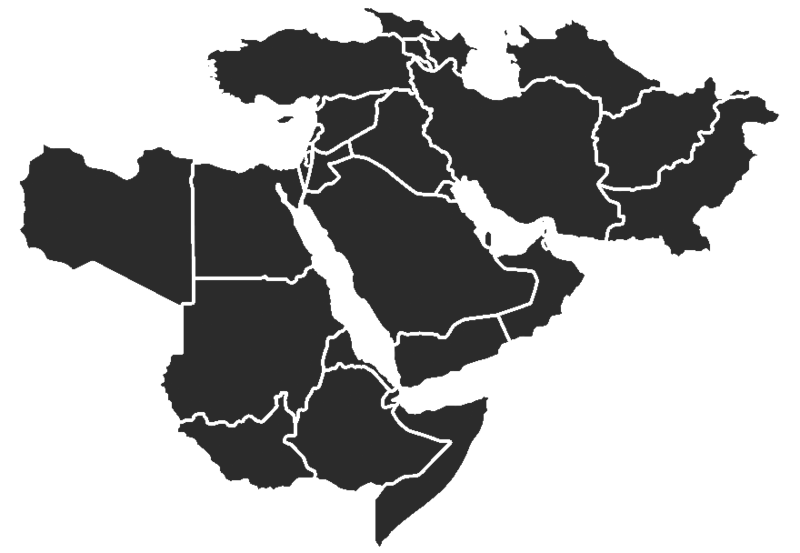 A key challenge to the success of the U.S. anti-AQAP strategy arose in 2011, when AQAP fielded its insurgent force, Ansar al Sharia (Supporters of Islamic Law), in Abyan governorate. A security vacuum permitted the insurgents to seize control of most of the governorate rapidly. Ansar al Sharia solidified control over the course of the year, and AQAP announced the establishment of the “Emirate of Waqar.” It took the combined efforts of the Yemeni military and local tribal militias to rout the insurgents. Yemen faces both a terrorism and an insurgency problem, but its security forces are not prepared for a counter-insurgency campaign, nor is the U.S. military assistance designed to build these capabilities. The Rise of Ansar al Sharia in Hadramawt? Yemeni President Abdu Rabbu Mansour Hadi oversaw the initial Yemeni military offensive against Ansar al Sharia in spring 2012 that forced the insurgents to go to ground. The offensive was not decisive, however, and slowly Ansar al Sharia re-established itself in some of the same sanctuaries that had been contested in 2012. Responding to the growing ground strength of AQAP and Ansar al Sharia, the Yemeni military conducted a major offensive against AQAP positions in south Yemen in late spring 2014. The requirement on the military to fight repeatedly for the same territory is a clear indication of a failed counter-insurgency. Yemen’s claims of success against AQAP quickly followed the culmination of the offensive, though in truth, much of the military’s “victory” rested on what should be termed a tactical retreat. As better-armed forces advanced through Abyan and Shabwah governorates, the militants withdrew to Hadramawt. Jalal al Marqishi and Ansar al Sharia in Sayun, Hadramawt, May 24, 2014. Source: Twitter, Habib al Najdi. Ansar al Sharia forces attempted to seize control of parts of Sayun city on May 23, 2014. The militants detonated a vehicle-borne improvised explosive device (VBIED) at an entrance to the city and then attacked Yemeni military and government sites, including local banks. There were reports that the security presence in Sayun was minimal at the time of the attack; reinforcements pushed the militants back out of the city. The extent of control is not clear, but Ansar al Sharia leader Jalal al Marqishi, also known as Abu Hamza al Zinjibari, appeared in photographs taken in front of the Sayun museum at night. Marqishi’s relocation to Hadramawt from Abyan, where he had commanded the Ansar al Sharia forces that controlled the governorate in 2011 and 2012, suggested he now commanded the insurgent forces there. Ansar al Sharia later claimed credit for the attack. Two other major attacks occurred in quick succession at the end of June and in early July. Militants again targeted Yemeni military positions in Sayun, striking the First Military District headquarters and the airport. This time, AQAP claimed the attack. Saudi militants attacked the Wadia border crossing on July 4, and Ansar al Sharia’s Twitter account released photos documenting the attack. The operation targeted alleged Saudi intelligence positions inside Saudi Arabia, though it was ultimately unsuccessful. Hadi dismissed the commander of the First Military District on July 12, probably reacting to the mounting unrest in Hadramawt. The Yemeni military has responded to the increased threat by deploying at least one battalion from the Strategic Reserve Forces from Sana’a to Sayun on August 3 to support the 37th, 11th, and 315th Armored Brigades stationed in the city. The 135th Infantry Brigade, based in Lahij governorate, is also currently stationed at the Special Security Forces base in Sayun. Ansar al Sharia militants seized and briefly held the city of al Qatan, 39 km west of Sayun, Hadramawt, the morning of August 7. The day before, gunmen attacked Yemeni soldiers in al Qatan and militants ambushed reinforcements from the 135th Infantry Brigade in Sayun, killing two soldiers. A flurry of media releases from Ansar al Sharia predicated the attack on al Qatan. AQAP’s media arm, al Malahem Foundation, released a YouTube video with footage from the May attack in Sayun and an interview with Marqishi on August 3. Ansar al Sharia’s Twitter account separately released two publications focused on Hadramawt that same day. Ansar al Sharia entering al Qatan, Hadramawt, on August 7, 2014. Source: Twitter, Ansar al Sharia News. A later-released statement from Ansar al Sharia revealed that the militants had a tri-fold strategy to attack al Qatan. Militants first struck the Special Security Forces headquarters during the early morning of August 7 and, by 0800, the group claimed its fighters had seized the building. The group then proceeded to loot government buildings in the city, as well as three banks, while other fighters erected checkpoints at the city’s entrances. The group’s Twitter account released a multitude of images throughout the day showing AQAP religious official Sheikh Harith al Nadhari and Marqishi along with other Ansar al Sharia fighters moving freely throughout al Qatan and interacting with the local population. Ansar al Sharia withdrew from the city in the late afternoon of August 7, when Yemeni military reinforcements arrived, probably from the base in nearby Sayun. The Yemeni military published a very different narrative of the events from August 7, directing attention away from Ansar al Sharia’s presence in al Qatan. Instead, the military focused on Ansar al Sharia’s simultaneous attack that morning on the First Regional Military Command in Sayun, which killed two soldiers and wounded three others. The Yemeni security forces stationed in Sayun later repelled the attack, killing at least seven militants and capturing three others. An August 7 video released through Yemeni military’s official news outlet showed the bodies of dead AQAP fighters and the other captured militants. The events detailed in this video appear to be from Sayun. Ansar al Sharia followed up its al Qatan offensive with the brutal execution of 14 Yemeni soldiers the night of August 8. Soldiers from the 135th Armored Brigade, which had been deployed to Hadramawt to reinforce Yemeni security forces there, were traveling from Sayun to the capital, Sana’a. Militants stopped the vehicle, told the soldiers to disembark. They then executed all 14 soldiers in a market in Shibam, which is about halfway between al Qatan and Sayun. A YouTube video shows a militant giving a speech after the executions and provides a clear shot of Marqishi giving orders to other fighters. The video concludes with militants taking pictures of the executed soldiers and leaving the scene. The attack was claimed as a reprisal attack for Yemeni military operations against AQAP in Hadramawt. The execution of the 14 captured soldiers elicited immediate and widespread condemnation from the Yemeni public. Politicians and Islamic associations in Yemen as well as Iran condemned the attack. Reports also indicate that local businessmen in Hadramawt are offering money for information on AQAP fighters as well as to the Yemeni military. Yemen’s Cabinet held an extraordinary session to discuss the security situation and Hadi vowed to continue to fight AQAP. The government has now implemented a weapons ban and travel restrictions in Hadramawt following the August 8 massacre. Ansar al Sharia has attempted to soften the blow to its image. It claimed that the soldiers supported the al Houthis, an armed Shi’a group in Yemen that AQAP labeled apostate, and also released photos of its Eid al Fitr celebrations on Twitter. These attempts have been unsuccessful in calming public fury. The execution of soldiers without a trial or the opportunity to repent is a new development. Both AQAP and Ansar al Sharia captured soldiers previously and publicized the soldiers’ subsequent condemnation of the Yemeni government and military. AQAP’s leader, Nasser al Wahayshi, has also counseled moderation and against such forms of violence. It remains to be seen whether Ansar al Sharia will continue down this violent path. Ansar al Sharia’s attempt to take over al Qatan may portend a broader campaign effort to seize control of territory in Yemen, particularly in Hadramawt. It may also reflect the need to establish sanctuary in areas of Hadramawt after the Yemeni military’s disruptive offensive this spring. The group’s focus on al Qatan and Sayun in Wadi Hadramawt, a dry river valley, is a shift from AQAP’s historical activities. Previously, AQAP focused its attention on the Hadramawt coast, where the majority of the governorate’s population resides. Attacks in the governorate capital al Mukalla are frequent, as well as in al Shihr and in the Ghayl ba Wazir area, both east of al Mukalla. The main road through Wadi Hadramawt provides the east-west access to Yemen’s Masila block oil infrastructure, though AQAP has not previously sought to control the country’s oil infrastructure. Previous attacks have targeted the pipelines, such as the liquefied natural gas (LNG) pipeline into Belhaf terminal in south Shabwah governorate. Yet these attacks appear to have had been designed to be disruptive, rather than to control the facilities. Control of Wadi Hadramawt, if it is an aspiration, would give Ansar al Sharia and AQAP a direct route north into Saudi Arabia, through the Wadia border crossing, as well as access to the roads heading westward, into Ma’rib and Shabwah governorates, routes to Sana’a and Aden, respectively. AQAP’s insurgency in Hadramawt puts an incredible strain on the Yemeni military and Yemen’s limited security resources. Effectively combating the insurgency requires the military to move fighting forces to Hadramawt, which could create openings for insurgents to extend control in other governorates. The growth of AQAP’s presence in Hadramawt corresponded to an increase in security forces in Abyan and Shabwah. Unless the Yemeni security forces are able to assert full control over the country’s territory, the army will continue to chase after AQAP’s fighters. The Yemeni military’s inability to confront AQAP is a challenge to America’s current counter-terrorism strategy and exposes the weakness of a policy that relies on unprepared local partners to confront our enemies. AQAP’s latest attacks should be a warning to policy makers that an expansion of al Qaeda’s deadliest affiliate looms on the horizon. The authors would like to thank Ali Dahlin, Josh Koontz, and Greg Schroeder for their research contributions. “Speech of Ansar al Sharia Fighter in Shibam after Slaughter,” YouTube, August 10, 2014. Tweet from Akhbar Ansar al Sharia, Twitter, August 8, 2014. “Madad Video Shows Mediation for Captives’ Release,” SITE, May 11, 2012. Available by subscription through www.siteintelgroup.com.